Join a Faculty Community of Practice this Spring – SEHD Impact! The Center for Faculty Development is introducing a new and important type of program in the Spring semester. 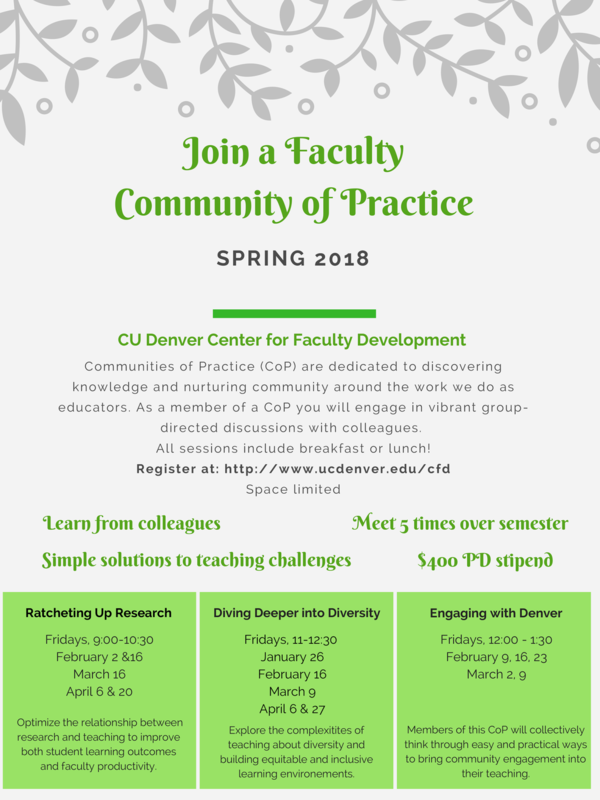 The center is organizing three Communities of Practice (CoP) that are dedicated to discovering knowledge and nurturing community around the work faculty do as educators. Each CoP is organized around a topic and faculty participate by engaging in discussion, sharing ideas and resources. Each CoP meets 5 times over the Spring semester over lunch or breakfast. Faculty participants will receive $400 in professional development funds.